Last night closed the Republican National Convention with the acceptance speech of the nominee, Donald Trump, and the traditional balloon drop. His campaign slogan, Make America Great Again, was the Convention theme. Like many of my Christian brother and sisters, I’m in a bit of conundrum regarding this election and the decision whether to even vote. I can’t say this week has moved me any closer. And I doubt next week’s Democratic convention will either. In the past several months I have read numerous facebook posts practically condemning any Christian for voting for Donald Trump. Or voting for Hillary Clinton. Or for not voting. This year’s election in not only very contentious, but has become a wedge of contention among Christians. Some are adamant that even though Donald Trump has his flaws, he’s better than the alternative. In fact, it’s even been suggested that maybe God is using him to preserve our way of life. Chris’ post speaks to some issues that we have been writing about over the past four years. Values. Morality. Spirituality. Ethics. Honor. Kingdom citizenship. And allegiance to the Lord. Christianity was born into a wicked world where the Disciples did not enjoy the freedom and material advantages afforded to us. Yet, Christianity not only survived, but thrived. The ministry and message of the Gospel “turned the Roman Empire upside down. I doubt of God’s idea of greatness is exactly the same as Donald Trump’s. Or even that of many professing Christianity. To the nation of Israel in the Old Testament that frequently strayed away from God and suffering at the hands of their enemies, the Lord issued this challenge. “If My people who are called by My name will humble themselves, and pray and seek My face, and turn from their wicked ways, then I will hear from heaven, and will forgive their sin and heal their land” (2chron. 7:14). I am not equating ancient Israel with modern-day America. I’m simply saying God’s definition of a great nation, may not be the same as many today. How can our country be great again when nearly 60 million babies have been slaughtered on the altar of immorality, selfishness and arrogance? How can America be great again when behavior that God calls an abomination, is not only tolerated, but celebrated? How can America be great again when justice is not applied equally regardless of power, position or prestige? How can America be great again when the ungodly and unprincipled men and women are in power? The wise man was right, “When the righteous are in authority, the people rejoice; But when a wicked man rules, the people groan” (Prov 29:2). How can America be great again when entire groups of people reject divine guidance, run wild in the streets and promote anarchy? (Prov. 29:18). We cannot be great apart from goodness and godliness. What is greatness? Jesus said, “but whoever desires to become great among you shall be your servant. And whoever of you desires to be first shall be slave of all.” (Mk. 10:43-44). Do we aspire to that kind of greatness? No doubt we are in for turbulent days ahead. A contentious election. Crime in the streets. Terrorist attacks by Islamic extremists. And, a sharp difference between people of good faith. Through it all, let’s remember who we are. To whom we belong. And why we are here on earth. Thanks brother for the good reminders of what our God considers “great” or good and our purpose here. All honor and glory to the One whom we shall answer to! I am always confused when I hear Christians say they may not vote or they will write in a candidate who has no chance of winning. It seems we are trying to fulfill some civic responsibility to ease our own conscience. Maybe we need to reread Romans 13: 1-7. Romans 13:1 says governing authorities are instituted by God. Do we not have faith enough in God to believe that he has a purpose behind whatever leader He chooses to put in place? Is God playing no role in who has been put before us in 2016? Who would have thought Kings of Persia, Cyrus and Artaxerxes, would serve as God’s agents to restore the city of Jerusalem and it’s temple to Israel. God has placed two viable candidates before us and one of them he will institute to govern our land. Both have character flaws. It seems to me our job is to look at which candidate and their policies have the greatest potential to move this nation toward God rather than further away from him. That is where we should place our vote. The one talent man buried his talent in the sand because he was afraid. He was condemned for it. Lets not bury our vote because we struggle with the character flaws of the candidates. I will leave America’s greatness up to God. But christians should do all we can to support God in that effort. In Romans 13:2 Paul said “Therefore whoever resists the authorities resists what God has appointed. Don’t be guilty of working against God because a candidate doesn’t come up to our religious standards. Have faith God will take care of the outcome. Lets vote to MAKE AMERICA GODLY AGAIN! Can we repost these statements? Sharon, not sure if you’re asking Russ or ThePreachersWord? You may repost ThePreachersWord in it’s entirety with credit to the source. Or you can quote short sections of the post with the proper credit. I agree that it is important to vote and God is always in final control. But we also need to remember that no one has ever been saved by changing their political convictions! Sometimes we take for granted the freedoms that we as Americans enjoy daily. Let’s just say that, for the sake of argument, we are both Roman citizens living under the rule of a Caesar…we are commanded to render unto him what is his…. Even if he was persecuting us. Being that we live in a FREE country where we are presently FREE to worship as we see fit, we must be able to take a step back and realize that sometimes there are bigger fish to fry. Could you vote for a Mormon? Could you vote for a Baptist? I personally think we have a responsibility to view our government as secular and choose our political affiliation with those rose tinted glasses. In my mind, I see that we have a very real evil trying to take over this country. 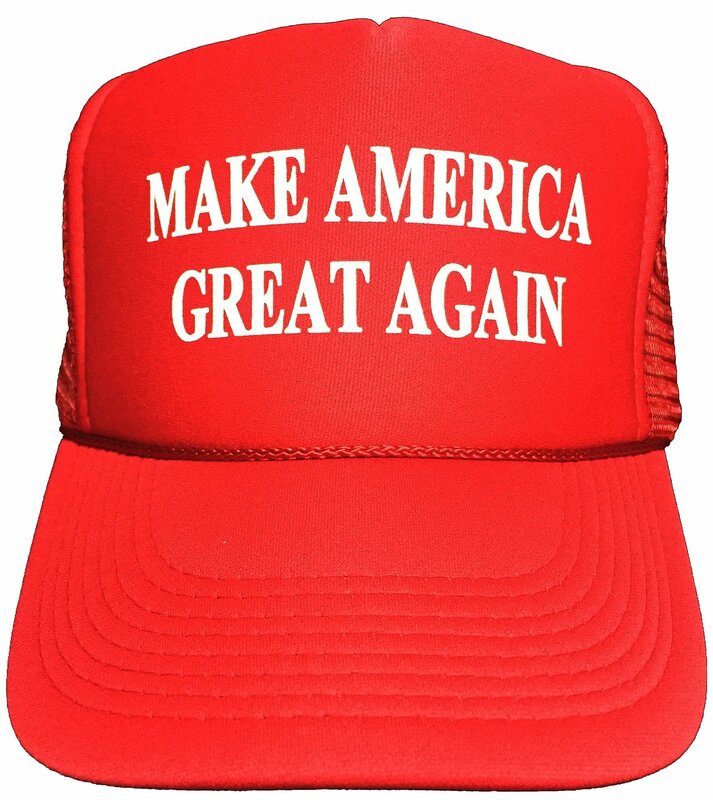 We can stand by and let it happen by not voting or voting Clinton…or we can begin to stomp out the corruption and gridlock and allow an extremely successful business man who can’t be bought and understands how to leverage relationships and to put the right person in the right position to begin to make AMERICA GREAT AGAIN. Example…Mike Pence. Conservative Christian who has done wonders in Indiana…. Completely agree with you about my beloved president!! Who is your favourite president? He really does seem like a decent guy. George Bush was corrupt and I’m convinced that Trump winning the Presidential Election would be history repeating itself! It is our responsibility to choose the best candidate for our country to help all our citizens to be free and not let others take over us and dictate our lives. We have witness more taking over our lives.. Remember we are to do our part and not do anything. In giving the wrong people the power. I agree with Russ. Trump may have his flaws but he represents the future of so many Christian values with the appointment of the next Supreme Court Justice nominee. Hillary believe babies should be able to be aborted right up to the due date – she does not see life beginning until a baby is born. We need unity in this country to end the violence in the streets and law and order = discipline which I am quite sure God is a big advocate of. Trump also brought up an issue last night in regards to the freedom of speech stifling put upon pastors – this is not even something that is in the party line but he wants to do what is right. Please everyone let’s get this man elected then support him with prayer like crazy! By not voting you are putting Hillary in office. We are all conservatives and must vote for the best man for the job, who so far, none have ever been a true Christian. You cannot condemn you children and grandchildren to such a one as Hillary. Our USA will be forever lost for your children and grandchildren. Just ask the Bengazi guys. They were sacrificed by Hillary..
“We are all conservatives” is an assumption. My political philosophy is the consistent life ethic, and I do not feel represented by either Trump or Clinton. Maybe being “great” is not such a good idea for a nation. It leads to pride and boastfulness. Maybe it’s better to be humble and to acknowledge that we have faults and that we can improve. I’d rather live in a nation that has a spirit of humility than in a nation that constantly boasts about its greatness. Brother Ken, in this sentence …”Some are adamant that even though Donald Trump has his flaws, he’s better than the alternative. In fact, it’s even been suggested that maybe God is using him to perverse our way of life.” Did you mean “preserve” instead of “perverse?” I think “preserve.” Great article! Yes, Tim, you are right. Thanks for letting me know. Got it corrected for future readers. I would fire my proof reader, but…I’ve had her for almost 48 years. I can’t bear to let her go! 🙂 Thanks for reading. And love to LA. Thank you for a somber, but thought-provoking post. I have wondered the same thing about the future of our country. I made my one and only “political” post the other day on Facebook, because I don’t care to engage in what usually becomes uncivil, mean-spirited comments from anyone who disagrees. I’ll share it here, since it’s relevant to your post. The political circus has once again turned family and friends against each other, and caused them to say horrible things to and about one another simply for having different opinions and perspectives on candidates and issues. It’s hard to believe someone would call a family member or friend an idiot (or worse) under normal circumstances, yet it seems some how acceptable when it comes to politics and voting time. I’ve read multiple statements to that effect even from people I know, making sweeping general pronouncements, stating, “Anyone who votes for _____ is an idiot” or various other colorful or outright nasty words and phrases. So apparently I’m an idiot according to some of you. My preferences and opinions are bound to differ from someone else’s among you all who are very vocal about your own, and who believe everyone should hold the same belief as you hold. It’s sad, hurtful, and even pathetic to think we can’t have civil discussions and debates without turning on one another, throwing out common decency, and wounding one another with such vicious and even vile comments, all because we can’t agree to disagree…about politics! It’s just not worth damaging relationships over politics. I think both Ken and Russ hit it out of the park. If you believe that the Bible is true and God knew YOU before you were even born then you can make a decision. We can only stand on what each candidate say they will do. Life is precious, yes even in the womb. This July post following the Republican National Convention easily made the top 12 most read post and most shared on facebook. Read it carefully. Don’t miss the intent of the message.